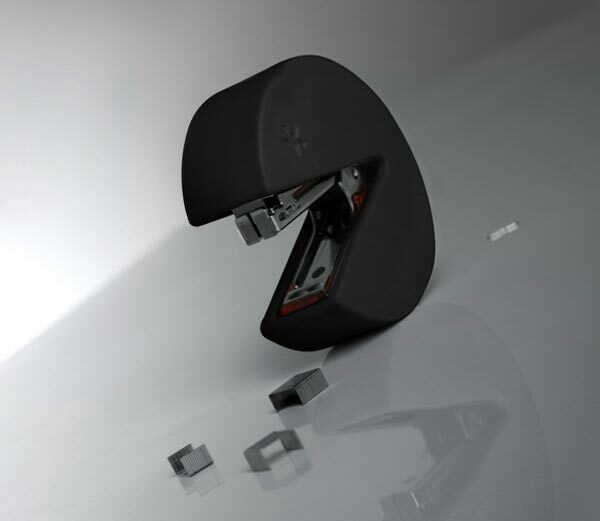 The Propaganda Stap Man Stapler from Panik Design is inspired by everyone’s favourite video game character, Pac-Man. This fun stapler would look great on any geeks desk, it measures 2.5 cm by 6.7 cm in diameter and it comes in a choice of black or white. Inspired by the world’s most recognized video game, “Stap Man” is just waiting for your squeeze to start stapling away. Put this cheery stapler on your desk and turn it into his battlefield. Once you get going, you will find it hard to stop. When the mission is accomplished, you can move him on to your friend’s desks! But be careful – once your friend touches your “Stap Man” don’t count on seeing him again! It would have been really cool if they had a yellow version available, mind you you could always add some spray paint to give it that authentic Pac-Man look. The Propaganda Stap Man Stapler is available for £16 about $26 from Panik Design.